Identification. The name "Tajik" may derive from the name of a pre-Islamic tribe, perhaps of Zoroastrian origin, and means "crown" or "royalty." The Tajik people are of ethnic Persian descent and constitute the largest indigenous group in the country (about 65 percent of the population). Within this group are the Pamiris, who live in the Gorno-Badakhshan Autonomous Province and number nearly forty thousand. The Pamiris speak a different language and belong to the Ismaili Shiite sect of Islam, while Tajiks are Sunni. Gorno-Badakhshon is surrounded by mountains, and is isolated for most of the year. Other ethnic groups that were caught within the country as the borders in Central Asia were redrawn during the Soviet era include Uzbeks, Kyrgyz, Turkmen, Kazakhs, Uyghur, and Bukharan and European Jews. Beginning in the eighteenth century, many Russians migrated to the area as soldiers and laborers. Other nonindigenous ethnic groups include Crimean Tartars, Ukrainians, Belorussians, Georgians, Osetians, Koreans, and Armenians. When Tajikistan won independence in 1991, a struggle for power between the clans developed into a civil war. At that time, Islamic fundamentalists wanted to create an Islamic state. Political instability led to a collapsing infrastructure, corruption, and extreme poverty. Location and Geography. Tajikistan borders Afghanistan to the south, China to the east, Kyrgystan to the north, and Uzbekistan to the west and has a land area of 58,809 square miles (143,100 square kilometers). There are numerous glaciers. The Fergana Valley in the northern region is densely populated. It is separated from the rest of the country by mountains from which the Syrdariya and Amu Darya rivers bring rich soil deposits. In the Soviet era, the Vakhsh River was dammed for irrigation and electric power, and factories were built along its banks. Hot summers and frigid winters characterize the climate. The high mountain ridges protect the Fergana Valley and other lowlands from Arctic air masses, but temperatures drop below freezing more than one-hundred days a year. The isolation of the Pamiri has kept them close to their ancient traditions. Although the people of the Khujand (Leninobad) region also are isolated, they are more accessible to the other republics. They were the ruling clan in the Soviet era. Dushanbe (Stalinobod from 1929 to 1961), the capital, is in the west-central region and is the largest city. In 1924, it was chosen to be the capital of the new autonomous republic because of its low population and central location. Demography. In 2000, the population was estimated to be 6,213,000. In the first years after independence many non-Central Asian peoples emigrated because of the establishment of Tajiki as the official language, dissatisfaction with the standard of living, and fear of political violence. Linguistic Affiliation. Tajiki, which is closely related to Farsi, is the most widely used language. Villagers who have developed regional dialects have only a rudimentary understanding of the official language. In the Pamiri mountain regions, various languages have kept many characteristics of ancient Iranian. Russian is preferred in government and business transactions, and Uzbeki is used widely in the Khujand region. green stripe at the bottom. Those colors represent sunshine and health, chastity, the journey on the right path of life, peace and stability, agriculture, the mountains, and the spring. The crown shows a royal house, and the stars represent friendship between nationalities, class, unity, and Islam. Emergence of the Nation. Before the Soviet era, the Republic of Tajikistan experienced population changes that brought political and cultural influences from Asia and the Middle East. The conquests of Alexander the Great in the fourth century B.C.E. , led to the founding of Khujand and Panjakent. Under the Sassanians (third century C.E. ), the Persian language and culture and the Zoroastrian religion spread throughout the region. Conversion to Islam began in the seventh century. By the ninth century, it was the prevalent religion. After the Uzbeki nomadic tribes conquered Central Asia, the future Tajikistan was divided into three states: the Uzbek-ruled Bukhara Khanate, the Kokand Khanate, in the Fergana Valley, and the kingdom of Afghanistan. These states lasted until the nineteenth century, when they were gradually overtaken by traders and settlers from the Russian Empire. In 1925, Tajikistan became an autonomous republic within Uzbekistan. In 1929, it was detached from Uzbekistan and given full status as a republic. In 1991, Tajikistan declared independence from the Soviet Union, and Nabiyev was installed as president after a coup. Nationalism and anti-Russian feeling intensified, leading to a state of emergency and the suppression of opposition parties. Civil war broke out in 1992. National Identity. Although the Soviet Union arbitrarily redefined the nation's borders, many Tajik intellectuals and nationalists believed that communism brought progress to their people and joined the Communist Party. During this period, Islam was the defining cultural element and helped consolidate the clans and reinforce ethnic solidarity. Although the Soviet era brought stability, education, and an economic infrastructure, social integration among the ethnic groups has never been achieved. Today, people look to their history in developing a national idea, identifying with the Persian-speaking Samanids of Bukhara, who supported the revival of the written Persian language and the cultural ideals of the Zorastrians. Ethnic Relations. The leaders of clans manipulate events to serve their own ethnoregional views. The Khojand clan in the north is identified with hard-line communism; the Kulab clan, also pro-Russian, gained control of the government after a power struggle in 1994; and the Garm clan of the Gorno-Badakhshn region is a stronghold of the Islamic Renaissance movement. Although Sunni Islam is the most important cultural commonality, it has become a dividing force. The lack of leadership from the Islamic hierarchy allowed fundamentalists to proliferate after independence, and the revival of ancient traditions in the Fergana Valley could lead to conflict with the neighboring countries. However, tribal loyalties, Western cultural influences, and the growth of a free-market economy have militated against such movements. The hardships caused by the civil war and the economic transition have created a negative attitude toward sovereignty and a desire among many people to return to Soviet statehood. Railroads do not link the northwest and the southwest, and only one highway connects Dushanbe in the southwest with Khujand in the northwest. In 1991, the five largest cities accounted for only 17 percent of the total population. During the Soviet era, a purely functional architectural style developed in the form of centrally planned development projects, government office buildings, and cultural facilities. More recent architecture emphasizes the revival of the Samanid and Timurid periods. During the Samanid period, baked brick was used in the construction of mosques, minarets, and mausoleums; calligraphic inscriptions were used to decorate walls. In the fourteenth century, the Timurids introduced the use of mosaic tile. Today, communities are divided into mahallas, or neighborhoods, which are governed by responsible and respected elderly persons. Food in Daily Life. With over 80 percent of the population living below the poverty line, food is scarce. A basic breakfast consists of tea and bread. A wealthy family may eat butter and jam and perhaps eggs or porridge. Soup often is served for dinner; it may contain a soup bone with meat, carrots, onions, and potatoes. Osh, a rice dish made with carrots, onions and meat, is served two or three times a week. At other times pasta, meat- and onion-filled pastries, and tomato and cucumber salads may be served. All meals are accompanied with large rounds of flat bread. Restaurants usually offer Western and Russian food, and choihonas (teahouses) serve traditional foods. Guests often sit on a platform with a low table surrounded by thin mats. Pork is never eaten. Bread may not be placed upside down; the crumbs are collected and disposed of ceremoniously. Tea is served to the host first to show that it is safe to drink. Islamic law forbids the consumption of alcoholic beverages, but this prohibition often is ignored. Food Customs at Ceremonial Occasions. On holidays and ceremonial occasions, the table is covered with small plates containing delicacies that represent the pride and wealth of the host. Osh usually is served. Sumalak, a dish made from the juice of wheat sprouts, is served during the Islamic New Year. The making of sumalak is a ceremony, as the women recite poetry, sing, and dance. 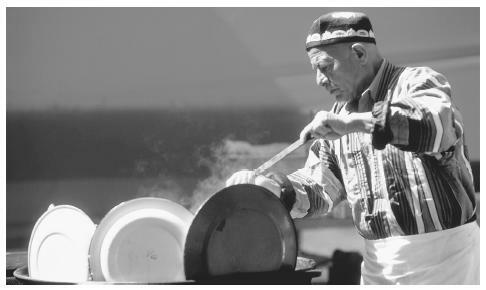 A man cooking lunch at a café in Dushanbe, Tajikistan. Restaurants in Tajikistan usually offer Western and Russian food. and farm implements are in disrepair. Millions face hunger as grain production has plummeted. Most people have no specialized skills; most specialists were from the Russian-speaking sector and left after independence. This resulted in the closing of most factories. The country depends on international assistance for its basic needs. However, the civil war and geographic isolation have hampered international trade. The government encourages foreign investment, but registration procedures are unclear and the laws are contradictory. In the 1990s, firms from the United States, Israel, Austria, Italy, and Canada constructed factories and mining projects. Land Tenure and Property. In 1992, legislation was passed that protected personal property and gave citizens the right to own, lease, and inherit land. Agricultural land remains under state ownership but can be leased. Leases can be sold and inherited. In the Soviet era, the government owned all businesses. After independence, the parliament adopted a privatization law, to transfer ownership of businesses to the public. However, no enterprise is privatized without the approval of a committee or ministry, and officials frequently refuse to cooperate. In 1997, the government created a Higher Economic Court, to handle economic disputes. Judges are subject to pressure from the executive branch, local warlords, and criminal syndicates. Commercial Activities. The dominance of cotton has limited the growth of food products. The country cannot meet basic domestic consumption requirements, especially for meat and dairy products. Although factories produce thread, most cotton is sent abroad for processing. There are small, obsolete factories for weaving and food processing. Drug traffickers control a large proportion of the economic activity. Major Industries. After the damming of the Vakhsh River in the 1930s, Tajikistan became the third largest producer of hydroelectric power in the world. The dams also enhanced agricultural production through irrigation and provided energy for industries. The aluminum-processing plant at Regar has the largest smelter in the world. Other industries include mining, chemicals, metal processing, and building materials. All industries are constrained by outmoded equipment, low world prices, emigration of the skilled labor force, and civil war. Trade. Exports to the United States include aluminum, textiles, machinery, and cereals. Imports from the United States include grain, dairy products, eggs, honey, machinery, and preserved foods. An Afghani company opened shops in Dushanbe to sell clothing, textiles, fruits, and nuts. In 1992, 36 percent of imports came from Russia and 21 percent of its exports went to that country. Fruits and vegetables, textiles, and paint were exported in return for automobiles, televisions, and other consumer goods. Tajikistan exports electricity to Uzbekistan in exchange for natural gas. Other trading partners include countries in Central Asia and Europe. Division of Labor. Jobs are assigned according to education and specialization or they are regionally determined. Political leaders and people in law enforcement usually come from the ruling clan, farmers come from the Garm area, and the Pamiris dominate the fine arts. Technical and professional jobs often go unfilled, but the most pressing economic problem is unemployment, particularly among young people. Approximately three-fourths of graduates of middle schools do not go on to receive higher education and cannot find employment. Wages are so low that even professionals take low-skill jobs to supplement their incomes. Classes and Castes. Most class variation involves the distribution of wealth. People from different classes attend the same parties and celebrations, but the wealthy usually host a party in a restaurant. Urban residents have the highest social status, especially those who work in the national government and international organizations. Bankers, directors of enterprises, intellectuals, and professionals follow; at the lowest level are workers and peasants. Military and religious leaders have high status, although they may not be wealthy. Symbols of Social Stratification. People are distinguished more by region than by class. People in the cities wear Western fashions, while villagers dress more traditionally. Traditionally, when a man holds a religious office, or becomes a grandfather, he grows a beard. Before the civil war, a beard was a symbol of political support for the Islamic opposition. People who work for the government often are imitated by lower classes in their speech and mannerisms. One of Tajikistan's major exports to the United States is textiles. was abolished in November 1992 and reestablished in 1994. The Council of Ministers and the prime minister manage government activities in accordance with the laws and decrees of the president and the Supreme Assembly. The judiciary includes the Supreme Court, the Constitutional Court, the Supreme Economic Court, and the Military Court as well as subordinate courts. Judges are appointed by the president. The office of the procurator general investigates and prosecutes crimes. The president appoints the heads of regional governments. Leadership and Political Officials. After independence, politics was characterized by a long struggle for political power between cliques that sought Soviet-style dominance and opposition forces seeking to establish a new government. Opposition parties were banned in 1993 and operate from abroad. The Communist Party dominates politics, although the People's Party, the Party of People's Unity, and the Party of Economic and Political Renewal are recognized. In dealings with government officials, a bribe usually is offered. The payer must be polite or the price may increase, and the size of the bribe is never discussed. A mediator usually conducts the transaction. Social Problems and Control. Although the constitution guarantees human rights, governance amounts to one-man rule based on emergency executive powers. The result has been imprisonment, exile, and assassination of political figures. The police and the procurator's office may legally detain a suspect without a warrant. Security officials use beatings to extort confessions. Most citizens fear retaliation by the police. Many judges are poorly trained. Bribery of judges is common, as is political and paramilitary pressure. The constitution provides for freedom of religion, but the Council of Ministers registers religious communities and monitors the religious establishments to observe political activity. The way in which people conduct their lives is affected by the opinion of others. When a crime is committed, the authorities are usually contacted and the rule of law is invoked. However, when a social rule is broken, the clan will deny privileges to the offender, who may be beaten or ostracized. One of the most widespread crimes is the smuggling of narcotics. There has been an increase in violent crime as a result of unregistered weapons remaining in private hands after the civil war. Official corruption and white-collar crime have increased. Wife beating is a common problem, as is the abduction of young women, who are raped or forced to marry. Military Activity. In 1992, an informal coalition of political and Islamic groups seized power after two months of demonstrations, and a civil war began. By 1993 an estimated 50,000 people had been killed, and 660,000 had been displaced. This was followed by a military rebellion in 1996. In 1997, the peace process again erupted in violence. During this time there was heavy reliance on Russian equipment, arms and air power, and Russians made up almost three-quarters of the officer corps. By the end of the decade conflict increased between Tajikistan and Uzbekistan, which fears that Islamic radicalism will spill over the border. In 2000, Uzbekistan planted mines along the border. There is military tension with China over the Gorno-Badakhshan region. Poverty has been targeted by humanitarian assistance and income-generating microprojects. With financing from the World Bank, people are implementing programs that provide job opportunities. The Women in Development Bureau and the Reconstruction, Rehabilitation, and Development Program work in the areas most affected by the civil war. Some organizations are active in cultural affairs and welfare, and others represent businesswomen, teachers, and other professionals. Most have limited funding and are dependent on foreign contributions. Tajikistan is a member of the United Nations, the Organization for Security and Cooperation in Europe, the Confederation of Independent States, and the Economic Cooperation Organization. All state workers belong to the Confederation of Trade Unions, which controls access to pension funds, health care benefits, housing, and other social services. Many United States and multilateral institutions promote business by lowering tariffs and offering loans and consultations. Some of the most important organizations active in the development of new businesses are the Khujand Association of Business Women, the National Association of Small and Medium-Sized Businesses of Tajikistan, the Dilafruz Association of Businesswomen, and the Tajik Center for Entrepreneurship and Management. Humanitarian organizations include the Aga Khan Foundation, Relief International, Humanitarian Health Assistance, and Medicine sans Frontieres. Division of Labor by Gender. Islamic law assigns all authority and power to men, but the constitution gives men and women equal rights. There is no formal discrimination in the employment of women, who work in government, academic institutes, and enterprises. However, only 27 percent of women workers are leaders or directors. In general women earn about two-thirds the salary of men doing the same work. In rural areas, husbands frequently do not allow their wives to study or work outside the home. Men control the political arena and hold the leadership positions in religion. Men wearing traditional Tajikistani clothing sit in front of a Soviet–constructed theater. children, and are responsible for household management. Women are seen as the compassionate force within the home, while men are the breadwinners and the protectors of their wives, mothers, and daughters. Traditional men believe that women have the right to be taken care of by men. Marriage. Building a family through a marriage sanctified by a religious ceremony is considered one of the most sacred aspects of life. It is also a way to develop a social structure with the blessings and support of the community. Often a matchmaker is involved in choosing a bride. A daughter will move to the home of her husband's family, and her parents want to be sure that she will be provided for. They pay close attention to the groom's education and lifestyle, and the economic situation of his family. The wedding feast or tui involves friends and relatives. The celebration includes music, dancing, and the recitation of poems. A representative of the bride brings an iron tray filled with burning herbs to chase away illness and the evil eye. The wedding bed is prepared ceremoniously for the first conjugal night. The next morning the purity of the bride must be proved to her mother-in-law. Children may be promised in infancy, or a daughter may marry the son of her uncle. A marriage between the children of brothers is considered economically disadvantageous. Although illegal, polygyny has become common. These marriages are not officially recorded but may account for 20 percent of all marriages. After age 23, a young woman is considered unmarketable for marriage except as a second wife. Divorce is rare, and a first wife usually does not leave when her husband takes a second wife. Marriage to a non-Muslim is frowned upon. Domestic Unit. Family size has been declining, but large families are still common. Usually the nuclear family includes the parents of the husband. Traditionally, the youngest son, with his wife and children, stays with his parents. The head of the house is the elderly father or the patriarch of the family, and the mother has authority over her daughter-in-law. Inheritance. Because he takes responsibility for his parents in their old age, the youngest son is traditionally the heir to family property. Parents will try to provide a house for each of their sons to improve their prospects of marrying women from a higher economic class. The personal belongings of the mother-in-law go to the wife of the youngest son. Kin Groups. A kin group extends far beyond the nuclear family, including the grandchildren of a great-uncle. These ties help develop support throughout the community. The oldest and wisest men are the leaders of the kin group. Most people in a kin group live in close proximity. Many household items are shared with the members of the group. Infant Care. Because a baby is thought to be subject to infection, it cannot be shown until forty days after it is born, when a cradle ceremony with a feast may be celebrated. This may include a coming of age ceremony for the mother, who is not considered a woman until she gives birth to a child. Infants and children are not exposed to drafts or cold water to prevent illness. A baby is discouraged from fussing or moving about and is trained to be modest, quiet, and shy. The mother often nurses an infant until the age of two. Child Rearing and Education. The mother trains children in the traditions of the culture. Daughters are taught how to cook, clean, and sew. A son must prepare himself to take care of his parents in their old age, work in the fields, and provide for a family. Religious training is done through participation in ceremonial events. The most important qualities of a good child are respect for the elderly and obedience to parental authority. According to Islamic custom, boys must be circumcised between the ages of one and seven. This involves a ceremony, and a religious leader may perform the circumcision. Soviet social policy created a modern educational system and a high degree of literacy. After independence, the education completion rate fell. The curriculum includes the Tajik language and classical Persian literature. Many people do not consider formal education important. A child's responsibility to the family takes precedence over formal schooling. Higher Education. The facilities for higher education include Tajikistan State University in Dushanbe, which emphasizes history, philology, and economic planning, and the Polytechnic Institute in Dushanbe, which offers training in energy, architecture, and mechanical engineering. There is a shortage of textbooks in all fields of study. The education of a son is a priority, but parents train and educate their daughters to make them marketable for marriage. A wealthy family is able to pay for a personal tutor and the contracts and bribes required to get a child into an institute of higher learning. Hospitality, humility, and respect are considered essential for successful interaction in the culture. The elderly are always given the place of honor. A man must never enter a home where there are only women, and a girl must never be left alone with a boy. At large social gatherings, men and women often are separated. Everyone stands when another guest enters. When shaking hands in greeting, it is a demonstration of good manners and respect to place the left hand over the heart and bow slightly. Bargaining is accepted in the marketplace. Personal space is not respected in either private or public places. When cultural rules are violated, gossip or ostracism may result. Religious Beliefs. The Muslim communities are divided into two primary sects: Hanafi Sunnis and Ismaili Shiites. The Hanafi Sunnis are the largest group, with about 90 percent of the Islamic population. The Zorastrian religion has influenced the traditions and superstitions of the people. Many people believe that supernatural forces affect their daily lives, and they wear amulets to protect themselves from evil. They may seek out fortune-tellers, or consult a witch to ward off illness or cast a spell on a potential lover. Bukharan and Ashkenazi minorities constitute the tiny Jewish community. Bukharan Jews have lived in the country since the Middle Ages; Ashkenazi Jews arrived after World War II, and worked mainly as engineers and in specialized occupations. In 1989, there were approximately twenty thousand Jews; after the civil war, all but two thousand emigrated. Other religious groups include Russian Orthodox, Seventh Day Adventists, Catholics, and Baptists. Religious Practitioners. For many people, Islam is more important as a cultural heritage than as a religion. When Islamic practices were curtailed during the Soviet era, folk Islam gained strength. Sufism, which emphasizes the spiritual side of the religion, grew during that period. An individual whose knowledge or personal qualities have made him influential becomes the religious specialist and the most respected member of the community. Rituals and Holy Places. Religious ceremonies include funerals, periods of fasting, and weekly visits to the local mosque by men. During Ramadan, believers fast during the day. The fast is broken at sunset, when an evening feast begins. 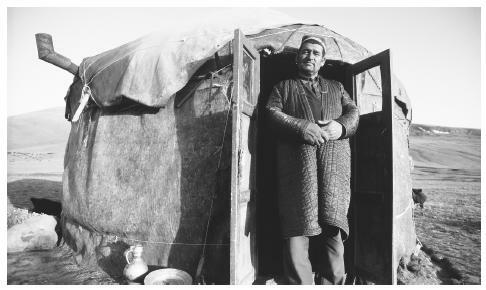 A man stands in the doorway of a yurt in a desolate area in the western Pamirs. Ismaili Shiites in Badakhshan recite religious poetry called madah; these poems are sung in Persian. Death and the Afterlife. A deceased person is prepared for burial on the day of death. Islamic law forbids autopsies. The body is washed and wrapped in white material and placed in a box. It is carried in a procession to the cemetery, where it is removed from the box and placed in the ground. Mourners wearing traditional clothing wail and lament and sometimes dance in a slow, solemn rhythm. Osh is served to guests after three days, and memorials are held after seven days, forty days, six months, and one year. Traditional medical beliefs are based on the works of Avicenna (980–1037), a Persian philosopher and physician. His system of medicine was followed in Central Asia until the fifteenth century, after which many superstitions about cures and diseases became prevalent. It is believed that burning herbs wards off illness, kills infection and cures a fever while bringing good luck. To stave off stomach ailments, one boils a pomegranate rind and drinks the broth; it is believed that mint cures fever, sore throat, and pleurisy. Many medical professionals have left the country, and those who have remained lack the skills and technology to administer adequate health care. Medicine is officially socialized, but there is no treatment without money, and the family of a hospitalized patient must provide the patient's food. Hospitals often lack drugs, clean water, and sanitation facilities. As a result, the risk of diseases such as typhoid fever and cholera has increased. Environmental problems are believed to contribute to maternal and child mortality and birth defects. In the 1980s, the Soviet government encouraged family planning, but its efforts failed because of poor promotion, inadequate birth control, and the traditional desire to have a large family. 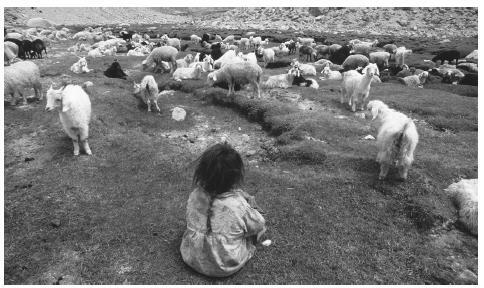 A Tajik girl watching over goats in the Pamir Mountains. and perform good deeds. International Labor Day is celebrated on 1 May. Victory Day on 10 May celebrates the triumph of the allied forces in World War II. Independence Day is celebrated on 9 September, and Constitution Day on 6 November. Support for the Arts. The Soviet Union supported opera, symphony orchestras, literature, painting, and sculpture, all of which attracted support from the public. In 1990, the country had twenty-seven museums, fourteen theaters, and a film studio. Literature. Tajikistan claims ancient poets Omar Khayyám and Alisher Navoi as part of its literary tradition. Firdowsī is appreciated for creating epic poetry as a way to educate the people. Under Soviet rule, writing had to correspond closely to official views. The main topics were the civil war in Central Asia, collectivization and industrialization, and Communist Party politics. Very little Persian literature was published in the Cyrillic alphabet. Sadriddin Aini (1878–1954) witnessed most of the upheavals of the Soviet era, including the fall of the Khanate of Bukhara. Abdulqosim Lohuti (1887–1957) wrote both lyric poetry and "socialist realist" verse. Mirzo Tursunzoda (1911–1977) collected Tajik literature and wrote poetry about social change. Graphic Arts. The great epic of Firdowsī, Shahname, influenced all genres, including painting, carpet making, and commemorative and graphic art. The trend in modern art has been to recreate the philosophical thought of the earlier civilization in order to bring about a cultural revival. This theme can be seen in all genres, including stage decoration. Performing Arts. Women founded a classical national dance that has become a feature of family celebrations and festivities. The dances begin slowly, becoming faster and more intense as they progress. The movements are harmonious and subtle, and the costumes colorful and bright. The performers dance according to the emotions of the moment. Folk music is characterized by solo playing and singing in small ensembles. The songs are monophonic, with harmony taking the form of a drone. Some of the most commonly used instruments are the rubob, a stringed instrument, and the karnai, a long trumpet. The daf is the most important percussion instrument, and can be traced back to the fourteenth century. Traditionally, the daf is one of the few instruments allowed in Muslim ceremonies. The social and physical sciences are strong in the areas of environmental studies, telecommunications, social policies of the state, geology, seismology, and archeology. Research involves cooperation among universities, technical institutes, and academies. All programs are government-financed, with contracts from the United Nations, the World Bank, and the International Monetary Fund as well as other international organizations. Center for Post-Soviet Studies. 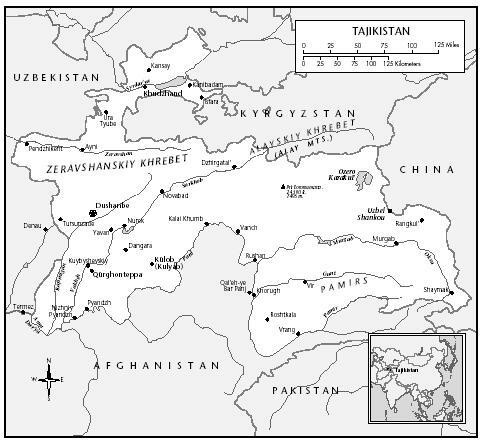 Regionalism in Tajikistan: Its Impact on the Fergana Valley, 2000. Central Intelligence Agency. World Fact Book, Tajikistan, 2000. Dodkhoudoeva, L., and M. Sharif. Firdowsī and His Shahname in Tajik Representational Art, translated by Iraj Bashiri, 1994. Eurasianet. Tajikistan Daily Digest, 2000. Imperial and Asiatic Quarterly Review and Oriental and Colonial Record. Revelations Regarding Badakhshan, 1895. 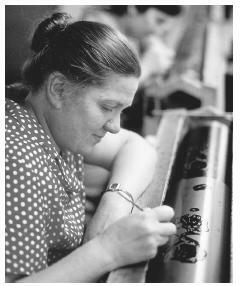 Kayumova, Gulsara. Forgotten Traditions, 1993–1999. Khoshmukhamedov, Sukhrob. Problems of Poverty and Economic Development during Tranistion in Tajikistan, 2000. ——. Revival of Islam and Nationalism in Central Asia: Problems and Prospects, 2000. Library of Congress. Tajikistan, a Country Study, ed. by Glenn E. Curtis, 1996. Massoume. Iranian New Year No Ruz, 1999. Nations in Transit. Tajikistan, 1998. Nurjanov, Nizam. Constructive Customs in the Music and Dance of the Tajiks, translated by Iraj Bashiri, 1995. Rahmatullaeva, Sulhiniso. Architectural Decoration in MaWara' al-Nahr During the Khujandi Era, translated by Iraj Bashire, 1995. ——. The Peculiarities of Samanid Decorative Architecture, translated by Iraj Bashiri, 1994. Straub, David. The Culture of Tajikistan, 1999. Tadjbakhsh, Shahrbanou. Women and War in Tajikistan, 1994. Tajikistan Privatization Agency. Current Situation in Privatization: Problems and Recommendations, 1999. Union of Councils for Soviet Jews. Tajikistan, 1998. United Nations Security Council. Report of the Secretary-General of the Situation in Tajikistan, 2000. U.S. Bureau of the Census. Economic Overview of Tajikistan, 1999. Van Belle, Jan. Dafsaz in Tajik Badaxshan; Musical Genre and Rhythmic Pattern, 1998. Van den Berg, Gabrielle. Religious Poetry in Tajik Badakhshan, 1998. Ya'qubshah, Yusefshah. The Image of Funerary Dances on Sughdian Ossuaries, translated by Iraj Bashiri, 1995. Yunusova, Eleonora. The Activities of the Aga Khan Foundation in Tajikistan, 1998. This paper is very insightful! I was wondering if you know the percentage of women working in the formal sector in Tajikistan? Thank's a lot for your very useful information about this beautiful country "Tajikistan". A very interesting explanation of the key aspects of Tajik history and culture. Do you know if any of these processes and practices are changing as Tajikistan has more involvement with western culture? why is it osh served only twice or three times a week?why the bride must proved her purity to her mother in law? do these people drink anything else other an tea maybe like a coke. This is very helpful. Thanks. I needed to make a booklet, skit or something for school about Tajikistan. I still need clothing, language, dance, songs, and history but this was very helpful indeed. Thank you for the given useful info. But i need you to help me find refrences or books talking about the names of Tajiki families and thier decendnan and ancestors...? Also by the way do you know a food called Laghman made of noddles by hands..? You gave me a lot of information that was much needed for my project.Also the information was accurate. I knew some information about Tajikistan and this is nice state. The people of this state are very great, noble and hard workers.I love Tajikistan. Tajikistan is a rich of Culture and means nature with Culture.It is not to read and Uzbekistan much Close to Tajikistan. Is Islam some kind nature of law? Just was and is a Word,the roalty or crown.Means with thier own language and Culture that? Hi guys. I was born in Tajikistan, Dushanbe. Majority of statements on this article are already outdated. When I was born in 1995 and went to school after 5-6 years, majority of women are working, especially in Dushanbe and Hujand. Rich people enjoy lavish dinners same as some rich in the West or East Asia and have luxurious cars and houses. Tajikistan a huge inequality gap and it will take decades to even slightly change it. Sughd Region is the richest region and they produce a lot of things and are also more educated than others on average. If you want to know about the current conditions of Tajikistan, I think this article is no longer useful. Only history can be remained. Anyway, I am glad that despite of being geographically isolated the author tried to explain the old Tajikistan and his perspective about it.